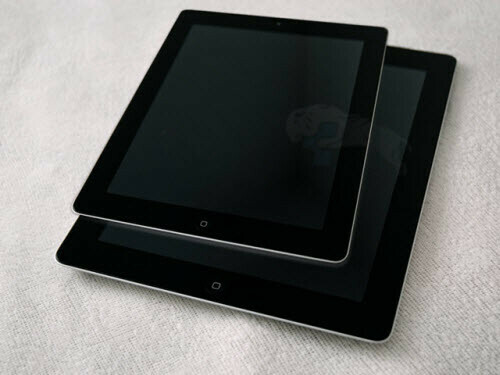 Right now, if a consumer wants to buy an iPad, they are only limited to one display size – 9.7 inches in diagonal. Expanding the iPad family by adding a physically smaller model seems logical as it would give customers another option to consider. You know, kind of like the MacBook Air was once available in one size only, but now we have both 13- and 11-inch MacBook Air models. The 11-inch model is slightly inferior in terms of hardware, but makes up for that by being physically smaller and somewhat cheaper than the 13-inch version. Furthermore, an iPad mini will be even lighter, more portable, and more comfortable to hold than its 9.7-inch counterpart. As some users would agree, the iPad as we know it today is not very suitable for being held with a single hand for long periods of time without resting it on something or getting a special accessory for the purpose. Another factor that we have to consider is that an iPad mini might end up being considerably cheaper than the regular iPad, thus targeting a market segment that is looking for a more affordable tablet. And judging by the way the $200 Amazon Kindle Fire is selling, there surely seems to be a market for smaller, simpler tablets. Currently, an iPad is still considered a pricey investment as the most basic model costs a solid $499. A cheaper iPad might not only be a way for Apple to conquer another segment of the tablet market, but could also let users experience what having an iPad is like, which in itself might lead them to upgrading to the bigger model eventually. Is this what an iPad mini would look like?" First and foremost, Steve Jobs himself despised the whole 7-inch tablet idea. “The reason we [won't] make a 7-inch tablet isn’t because we don’t want to hit [a lower] price point, it’s because we think the screen is too small to express the software.”: he stated back in 2010 during an earnings call. However, that he was also against the “Think different” campaign is a known fact, even though it is now considered one of the greatest advertisement campaigns of all time. Another thing that Jobs had doubts about initially was allowing third-party apps on the iPhone – a feature that generates a lot of revenue for Apple today. So yeah, Steve Jobs may have been against smaller iPads as they would likely alter the whole experience in a negative way, but that doesn't necessarily mean that Apple won't release one after ensuring that everything with it is top notch. Nevertheless, there is more to the matter. Having a smaller iPad will surely give iOS developers a headache because they will have another display size to consider when developing their apps. That is because even if the device adopts a resolution of 1024 by 768 pixels – the same one we have on the iPad 2's and first-gen iPad's displays, the graphics would appear physically smaller, which might make them hard to interact with. To tackle that problem, developers will have to design their apps in a way that would make them compatible with the iPad mini's size while still delivering the same experience as they would on a regular iPad. Now it is time to discuss the possibility of Apple targeting a lower price point. Yes, it is likely possible to construct a smaller iPad that is also cheaper than the current model, but simply selling the older model at a discounted price would be a much easier thing for Apple to do instead of investing money and resources into developing a new device. In fact, we have seen that happening after the announcement of a new iPhone – the old model gets its price slashed while the new one takes the prime spot. Same thing is happening now with the new iPad and its predecessor, the iPad 2 – the former starts at $499 while the latter can be purchased for $399. 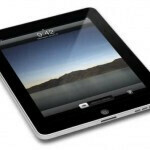 So, it appears that we have arguments both in favor and against the iPad mini. Our intuition tells us that Apple is not likely to ever announce such a device for the reasons we just went over, but on the other hand, Apple is very good at doing things the right way and certainly knows how to tackle the difficulties that designing a smaller iPad would pose. How does the idea of having an iPad mini sound to you? Would you consider getting it instead of going with an Android tablet? Do not hesitate to tell us what you think by dropping a comment below. No, no. The mini-pad would fit in quite well with their maxi-pad. Don't get it? why selling the older model at a discounted price would be a much easier thing for Apple to do ..., and the old one still competitive in the market? However we can see variable size availiable in the market currently. Please, tablets doesn't make any sense at all and I don't care if a mini version of something comes out which also doesn't make any sense. IMHO,ipad mini sounds a lot like a female higyene product...lol. I would not sell a smaller iPad if I were Apple. There are already too many configurations these things come in, imagine doubling that with a "mini-pad". It's already confusing enough calling it The new iPad. What would it be called "The newer smaller iPad?" Around 10 inches is the perfect size for a tablet, anything smaller than 8.9 inches is like an over sized phone. I would welcome a smaller version of the ipad. I don't want to lug around something as big as the ipad2. I am in the market for a phone and leaning to the Galaxy Note as it would give me the call quality I expect, an excellent camera and a big screen so I can see! And all in a size I can tote around without shoulder problems. Now if there were a mini ipad, I would consider it to get the quality and specs I want and then go for a smaller phone. But I will probably go with the Note as a phone/tablet and have only one thing to carry. And I am a woman with small hands. Doesn't the ipad mini exist already,its called the ipod touch isn't it? They are the exact same after all as is the iphone,its the exact same idevice made into 3 different sizes so ifans will buy all 3.
another example of fandroid fragmentation. some of you think android is so great for having so many options. then others post about an ipad mini being too redundant. which is it? and there is an obvious difference between a 3.5", 10" and what would be a 7" screen. none of you are witty. thats right. everyone loved that honeycomb and froyo/gingerbread were completely different. thats why they unified everything with ICS. I wouldnt mind a smaller ipad. I sold my ipad due to it being too big. Got the galaxy tab 7.7 instead which is the perfect size for me. Soooooooo...they're going to try and sell an ipod with slightly more surface area?